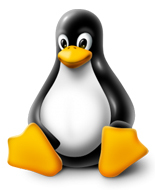 Linux hosting is an ideal solution for individuals and businesses. It is Ideal for static and dynamic websites, blogs, forums or even an online shopping portal. Our flexible packages have the ability to cater to varying ranges of requirements. All PHP based websites can be hosted on our Linux systems. If your website is based on ASP/ASP.net technology, try our windows hosting services.